About with Friends’ mission is to give people with learning disabilities the opportunities they are entitled to and to live the life that they deserve. We are made up of permanent and part-time staff, volunteers and valued supporters. Based in Cromer, Norfolk. Age UK Norwich is an independent local charity. We’ve been working in the local community to help older people for more than 70 years. There are 33 paid members of staff working on various aspects of the service and we have over 100 unpaid volunteers, who give their spare time to help ensure that the centres run smoothly. The success of the organisation depends on the skills and experience of both staff and volunteers working together. We are an expanding organisation (Registered Charity No. 1124717) offering a wide range of quality healthcare services with priority for residents in Norfolk & Suffolk. The Trust provides a unique complex of Local Healthcare Services over four key areas. Services include a Community Hospital, Physiotherapy, Long Term Care Unit, Nursing Home, Adult Day Centre and a range of Homecare Services including Befriending and Meals on Wheels. Crown House Day Centre for people with Learning Disabilities is based in Lowestoft providing activities and support services. A family run business, which provides a unique day service for adults who have a learning disability, mental health support needs or people living with dementia. The Care Farm is set within 8 acres of farm land close to the village of Little Plumstead. Aspires is a day service for people with learning and/or physical disabilities aged between 18 and 70+. Open 5 days a week based in Fincham – between Downham Market and Swaffham. Assist provides progression services for people with learning difficulties aged 18 and over, every day of the week, all year round. Everything that happens at Assist is aimed at helping people with learning difficulties to progress and move forward in their lives. Attleborough Day Centre provides opportunities for the older person to become and stay physically, mentally and socially active. The Day Centre provides regular social contact providing carers and families with much needed respite and supporting users of the service to maintain and improve their independence and well-being, enabling them to remain living at home. Aylsham Care Trust is a non-profit making charity based at the ACT Centre, St Michael’s Avenue in Aylsham. ACT provides a wide range of services for people challenged by significant and other health problems such as mental health issues, physical illnesses as well as additional barriers such as increasing personal and social isolation. It offers a range of activity and support which encourages the individual to feel empowered and to remain independent and in control of their lives. Barrington Farm is a unique independent day services centre for adults with learning difficulties based at Walcott on the North Norfolk coast. The hub of the facilities is a converted barn which houses an art centre, gym and cafe and social centre. It’s all set in 22 acres, with a lake, gardens and a small, rare breeds farm. Beyond the Wall is a charitable project based on the Thornham Estate in Norfolk Suffolk (Eye) working with young people – 16-25 with mixed disabilities and adults who continue to face barriers leaving and learning in the community. Our aim is to build up our learner’s confidence and self-esteem while teaching them the skills which will unlock future opportunities. Our farm is for anyone over the age of 16 suffering from mental health problems, as well as dementia and physical health problems such as effects from strokes. The therapeutic environment is beneficial for a variety of people offering support in achieving goals and realistic targets by providing meaningful activities and therapies in a safe, structured, supervised environment. The farm is based in Bedingham in Norfolk. We are a local charity supporting adults with learning disabilities in a variety of fun work experience and social activities. Our high quality staff team help people, with encouragement to overcome difficulties and achieve in everyday life. The people we support are involved to become part of the Branching Out team helping the community with hands on experience. The Bridge Project is based in the market town of Sudbury and is a local charity set up to assist disadvantaged adults within the community. The service provides a safe and stimulating supported working environment for adults with learning disabilities. Briston Day Centre meets twice a week, Monday and Thursday providing socialisation, activities and outings for the elderly, inform and disability. We are dedicated to caring for your elderly loved ones and making sure that they are as loved and happy as possible. We pride ourselves in providing a home for home environment. We are proud of both the flexibility and the care we can offer our residents and day visitors. We would like our residents to feel at home when they join us. Centre 81 is a local charity for the local people and is based in Great Yarmouth. Centre 81 provides a ground breaking Skills and Activities Centre at Tar Works Road providing a safe and stimulating environment for adults with physical, sensory and other disabilities including those with complex health and/or social needs and associated learning disabilities. Clinks Care Farm is a 143 acre Norfolk County Farm in Toft Monks, near Beccles. As a care farm we combine the care of the land with the care of people offering opportunities for people to help out on the farm. Because of the natural therapeutic environment this can aid people’s recovery and even be a preparation for employment in our sector or other industries. The care farm also provides an alternative to day care by offering many meaningful activities on a working farm. Community Action Norwich is making a difference to the lives of many people in Lakenham and Tuckswood, Norwich. Our good working relationships with the local schools, churches, statutory agencies and other care related projects means that we are able to offer an excellent range of programmes for children, young people and seniors across the local community. We provide a range of services including residential care and a support network that enables those in need of support to lead fulfilling lives in the comfort of their own homes. Vibrant Day Care Centre in new Costessey, place to make friends and be active with professional care staff providing as much or as little care support as required. Dereham Meeting Point was established in 1986, as a place for the disabled and over 55’s to meet and socialise. The Edith Cavell Day Centre was started in 1986 to meet the needs of older people living in the community. It is held at the Lakenham-Hewett Rugby Football Club on the Main Road in Swardeston and is a registered charity. At Independence with Care we also run our own woodcraft centre, gardening group and art and craft day service. Elmwood, our woodcraft centre, the gardening group and the art and craft service are all based in the grounds of Worstead Lodge. We can provide woodcraft type activities at Elmwood for up to 8 people each day from Monday to Thursday with gardening every Tuesdays and art and crafts on a Friday. Carers Trust Norfolk have a Day Club (Emmerich Court) that runs every Tuesday for people with care needs living in Kings Lynn and the surrounding area. The club is aimed at providing relaxation and activities in a friendly, social setting, providing hot lunches and a variety of activities. Engage Norfolk specialise in providing tailored support packages for individuals with disabilities and complex needs. We believe everyone deserves the opportunity to live life to the fullest and pursue their own goals, dreams, and aspirations. First Focus offers a friendly way to access information on issues around health, disability, social matters and education/training. As a Social Centre we welcome visitors to call in for a coffee and a friendly chat any time the Centre is open. Fitzroy transforms lives every day by supporting people with learning disabilities to do the simple things that make a real difference to their everyday life. Our mission is to transform lives by supporting people with learning disabilities and lead the lives they choose. Northfields (West Earlham, Norwich) – supported living care home for seven people. Wensum Way (Fakenham) – supported living care home for eight people. Taylor Road (West Earlham, Norwich) – supported living care home for seven people. The Pastures (Hales, Norfolk) – residential care home with nursing for 13 people. The Maltings (Fakenham) – Day and community services. Forward has over 20 years of experience working with adults with learning disabilities and autism across West Norfolk, promoting dignity, respect, equality, and diversity. We believe in a fair and equal society where everyone can live independently, progress and engage in meaningful activities of their choice. We understand that each individual has different needs and we support people with our person-centred approach. Our skilled staff delivers a diverse programme of activities to support each member in achieving their personal goals as well as building their confidence and self-esteem. We enable and encourage all our members to express their creativity in numerous ways as well as improve essential life skills. Day Centre based in Great Yarmouth. Orwell Mencap is a local charity. Through our Genesis services we provide personalised services supporting people with disabilities and their families and carers. The Glaven’ Community Care Centre is based in the north Norfolk village of Blakeney and is a registered charity providing day care and care services to the elderly and those in need of support. Day Care Centre – vibrant Day Care Centre in new Costessey, place to make friends and be active with professional care staff providing as much or as little care support as required. Housing with Extra Care – 34 flats in Housing with Extra Care Scheme which Age UK Norfolk operates in partnership with Saffron Housing Trust and Norfolk County Council. Short Term/Respite Care – gives our guests time to socialise and take part in activities safe in the knowledge they will be receiving expert personal care. Great Yarmouth and Waveney Mind is a forward thinking community based organisation which encourages and supports mental well-being. Through education we challenge stigma and discrimination in everything we do, encouraging equal opportunities, positive thinking and embracing cultural diversity. Beautiful, unspoilt grounds and exciting adventure playground. We support people with traumatic and acquired brain injury, their families and careers to regain confidence and overcome challenges. We promote independence and rehabilitation, providing information and support services directly to people. Heritage House is a Day Care facility serving the needs of the elderly and frail living in Wells-next-the-Sea providing 26 places each day. Iceni Care aims to provide the highest standards of care and support to continue to develop their independence in a warm and friendly family like atmosphere. Iceni care – a vibrant day care centre providing services for adults with learning disabilities within the Great Yarmouth, Norfolk. Respite – a 2 bedded respite unit providing 24 hour support for adults with learning disabilities. People’s independence is at the heart of all we do and we strongly believe in supporting individuals to live the lives they choose in the heart of their local communities. We are also able to offer employment opportunities to people with disabilities as well as apprenticeships and volunteering placements that can help people gain skills towards employment. We employ over 800 dedicated staff across Norfolk and believe that they, along with our customers, family carers and stakeholders are the experts in what works well in our services. We are all committed to working together to make sure our partnerships deliver the best services possible. JDT Music Academy runs a music studio that gives people from all walks of life the opportunity to embrace music in a friendly and relaxed environment. Jeesal has been supporting people with complex needs for over 30 years and has received a number of accolades during this time. More recently we have been honoured to be named ‘Independent Secure Healthcare Provider 2015/16’, by Apex, and ‘Large Training Provider of the Year 2015/16’ by the YMCA. We have also achieved validation from Norfolk and Suffolk Care Services for our training department which is striving to make academy status. We were also nominated for the Norfolk Care Awards and the Patient Safety Care Awards. 11 houses across Norfolk offering supported living and residential services to people with learning disorders. The aim of the CaTSS team is to support people in the community with a learning disability who become unwell and/or distressed and risk losing their tenancy. The CaTss team will work alongside the existing team, to help prevent admission into hospital and/or the loss of tenancy. The team will also support people leaving the hospital to ensure a safe and sustainable transition into the community. Jeesal Cawston Park Hospital (JCP) provides assessment, treatment and rehabilitation services. We have three main units which offer support in both locked and open rehabilitation. The units support people with learning disabilities who are experiencing distressed behaviour. We have a number of single bespoke service provisions for people who find living with others difficult, together with flats where we support people to improve their independent skills prior to discharge. Jeesal Kelling Park is the most recently commissioned site for residential care and offers a range of flats for young people with learning disabilities, who require residential support as a first step away from school or home. A Luncheon Club is a place where people come together to share a meal…but it is much, much more than that; it is also about providing you with opportunities for social contact and activities to keep you alert and active. Day centre providing health and social care for physically and mentally frail older people providing bathing, chiropody, hairdressing and social activities, lunch and light refreshments. Services provided to local residents in Swaffham and surrounding areas. Health and Wellbeing support information is available on the Julian support website. Day Centre for people in North Norfolk living with Multiple Sclerosis meeting every Monday at Southrepps Village Hall providing social activities, practical and physical benefits. Care farms provide health, social or educational care services for individuals from one or a range of vulnerable groups. Lingwood Care Farm works with people with Autism Spectrum Disorders, people with learning difficulties, and people with physical disabilities. The working farm which is arable, growing wheat, barley, peas and beans with livestock and some vegetable growing. Day Centre in Loddon, Norfolk for retired people in Loddon and surrounding villages. Club for over 60’s, including lunch. Long Stratton Day Centre runs every Tuesday and Thursday providing social activities such as Bingo, Arts Crafts, Baking, Floor Games and much more for retired people in Long Stratton and surrounding villages. Marion Road Day Centre offers day care in a friendly, relaxed environment. We treat everyone as an individual and look after their needs. We particularly welcome people living with dementia. Merle Boddy Centre is a warm and friendly Social Day Care Service for people affected by mental health problems including dementia and other disabilities in Swaffham and the surrounding area. Daytime Club for Adults with Physical and/or Sensory Disabilities in Stowmarket providing friendship and support through activities and excursions including arts and crafts, music and movement, and outings. Milestones is a 10-bed women-only hospital in Norfolk with a unique mental health philosophy. It offers individualised, bespoke care that combines outstanding clinical treatment with holistic wellbeing, a familial environment and a high staff-patient ratio. Milestones provides a safe, supportive and therapeutic environment for young women in transition from CAMHS to adult services. NANSA has worked for over 60 years to improve the lives of people in Norfolk with physical, sensory and learning disabilities of all ages and disability levels. Our aims are to empower people in Norfolk with disabilities to achieve their life aspirations. New Beginnings based in Wisbech supports people with learning disabilities through day care services providing social interaction and activities. Onward Enterprises CIC is a contract packaging company with a difference, providing quality services and products to industry with an integrated workforce through supported working. For people with a physical or sensory disability aged from 18 to participate in hobbies, woodwork, arts, crafts, outings and Christmas meal and entertainment. Based in Kings Lynn. Support physically disabled people over 18 years of age. Hobbies club, art, needlework meet every Thursday covering Dersingham, Snettisham, Heacham, Hunstanton and Ringstead area. We support up to 15 co-workers per day by providing real work experience and training on our 18 acre organic farm and in the wider community thorough our Garden Team. We specialise in providing therapeutic horticulture to people with learning difficulties, physical disabilities and those with varying health needs. Our aim is to place the rights of our clients at the forefront of our philosophy of care through our strong values of privacy; independence; dignity; fulfilment and choice in all aspects of the environment and the services we provide. We ensure through our recruitment and training policies that all members of our staff share in and promote our values. 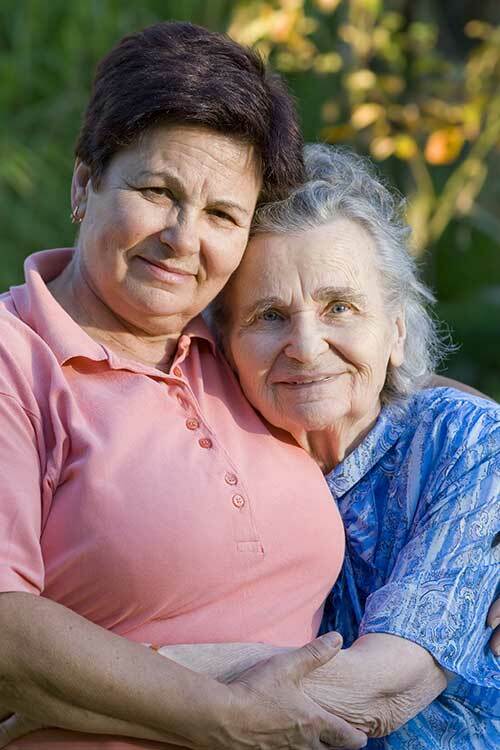 Home Care – services include; personal care, meal support, domestic help, companionship, community access. Day Care and Respite Services – Our facilities enable us to welcome up to five people a day as day care clients, offering the opportunity to socialise, lunch and any personal care required. Rethink Mental Illness supports millions of people affected by mental illness by challenging attitudes and changing lives. Dereham Resource Centre is part of Sense College and a day service for people with dual or single sensory impairment with additional learning disabilities, behavioural needs, autism or physical disability. Day Centre for older people for social contact and respite from their own home for those living in Sheringham and surrounding areas. Stepping Stones is a small, vibrant charity for adults with learning disabilities aimed to enrich lives by building skills, independence and making informed choices. Based in Norwich. Workshop facilities for disabled people to overcome training and employment based in Thornham Magna near Eye. Our support services mean our service users no longer face the prospect of leaving their home and community network for a care home, or having to struggle alone or be forced to reluctantly depend on relatives and friends. Offering day placement opportunities for those wishing to work in horticulture/animal husbandry setting in which to improve self-esteem, gain confidence, and recover from mental illness. Day care services for adults with learning disabilities, physical disabilities, mental disability/illness and those in need of social stimulation to enjoy a wide choice of activities based in Salhouse. Norfolk Hospice provides care, comfort and compassion to those in the community nearing the end of their lives and to family and friends based in Kings Lynn. Day centre and charity that provides the opportunity for elderly people to receive day care and support away from home to socialise, renew old acquaintances or make new friends. Providing recreational, educational and social opportunities for children and adults with profound disabilities and complex health needs based in Norwich. Thera East Anglia is a not for profit organisation. 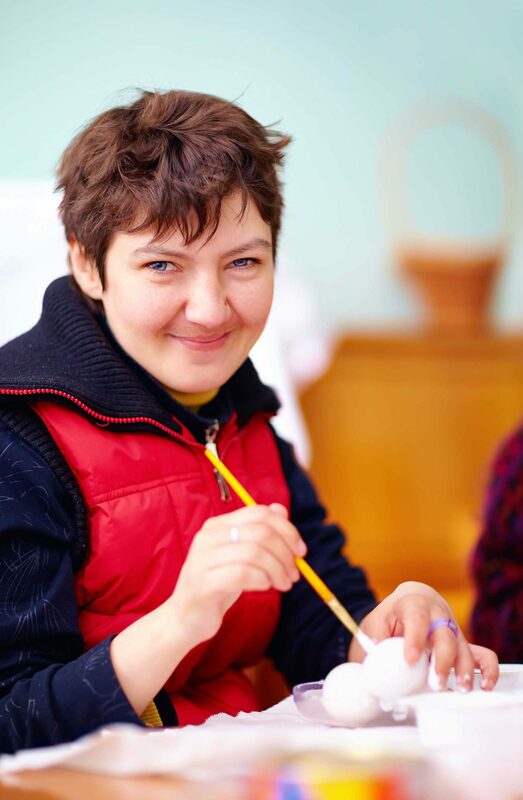 We support adults with a learning disability to live happy, fulfilled lives. We support people in their own homes and in the community throughout Norfolk, Peterborough and Cambridgeshire. We have worked in East Anglia since 1998. We believe that keeping support local and community focussed is important – we don’t want people to rely on paid support in order to live a good life. Our support ranges from a few hours a week up to 24 hours a day, 7 days a week. We specialise in supporting people with complex needs and can help people with a range of things including staying safe and healthy, going to work or college, maintaining their home and doing housework, doing the activities they enjoy (such as sports or arts and crafts) and even going on holiday. We specialise in supporting people with complex needs. As part of the Thera Group of companies, we have a unique vision: that people with a learning disability can be leaders. We put this into practice by having directors who have a learning disability, as well as ensuring people we support and staff can have a say in how the company is managed through our ‘company membership’ scheme. Whether you are new to social care or looking for a new challenge, we can offer induction training, regular supervisions and peer support to help you do a great job. Promotes, supports and develops volunteering and the work of voluntary organisations to contribute their time, skills and talents for their own and for the community’s benefit. Place to find the perfect volunteering opportunity. Charity based in Beccles supporting adults with mild to moderate learning disabilities to develop their life and social skills, as well as promote their independence, choice, confidence and to maximise each individuals own potential in a safe and supportive environment. Supporting people recovering from Mental Health issues providing a welcome, helping hand and a sympathetic ear with activities such as painting, snooker and games. A registered charity to help alleviate social isolation in older people living in West Norfolk. The service helps people enhahnce their quality of life, maintain independence, reduce isolation, improve their physical and mental wellbeing and identify risk to health and environment. West Norfolk Mind is an independent local charity set up to promote mental health and social inclusion within the community and provide a variety of resources for people with a mental health issue, their families and friends. Providing activities for the elderly covering Broadland and Norwich areas in Norfolk. Aim is to improve the quality of life for people within the community in a safe environment and to offer them, their families and carer support to enable them to continue living in their own homes and communities. Providing high quality day care for the older people in Wymondham and surrounding areas to promote independence and a sense of belonging to combat loneliness and isolation. We are a flexible and innovative day service for people with learning disabilities, physical disabilities and complex needs. We believe in offering a service that is truly personal to each individual who uses it. Whether it is a varied and fun filled day of activities, inside or outside of the Centre, or a more educational, life-skills, independence building or even work experience package that an individual requires we will build a package to suit. Whatever someone’s individual budget, we will find a way to allow them to access the service whether it’s for a whole day, half a day or even just per session. We believe in letting our members decide what they join in with and for how long, this allows them more personal choice and allows for better development led by themselves. At YOUR CHOICE SOCIAL CENTRE the choice IS yours!!!! Winners of the outstanding achievement award at the 2014 Norfolk care awards. Shortlisted for Rising star award at the Norfolk care awards 2017.